Does your plant burn coal, oil, or natural gas? HECO knows electric motor management, and the complete performance systems, at work in fossil-fuel generating stations. We have repaired, replaced, rewound, and redesigned a wide variety of power plant motors. In addition, we are currently managing more than 20,000 motors for fossil-fuel power plants. Our skilled management of everything from new equipment purchase to repair and PdM of these motors has helped fossil-fuel generating stations reduce their repair spend by up to 50%; and reduced downtime due to motor failures to near-zero levels. 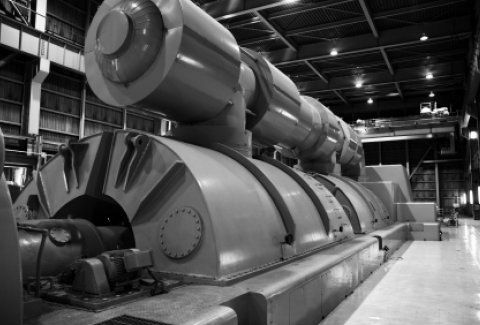 At HECO, we have extensive experience in repairing hydroelectric generators. Over the years, our staff has performed multiple on-site and in-shop tests, repairs, and even rewinds on a variety of different brands and types of generators. Hydroelectric generators are some of the largest pieces of equipment around the world today, and HECO's facility is set up for these large repairs. We do generator stator rewinds, stator core iron replacements, rotor laminations repairs, shaft repairs, and even complete exciter rebuilds.